– Valid email address. You should receive a prompt response to your questions. In many respects, you are buying the online watch dealer as well as the watch. If there is the faintest of odor with an online dealer, move on. Learn more before purchasing a Rolex watch. The online watch dealer must stand behind the authenticity of the watch. With the prevalence of fake watch websites selling Rolexes, only a trained veteran can spot a genuine Rolex. Rolex Service Centers inspect an incoming Rolex by removing the caseback and insuring that the main plate serial number, serial number on the case (between the lugs with the bracelet removed), and inside the dial all match with their records. 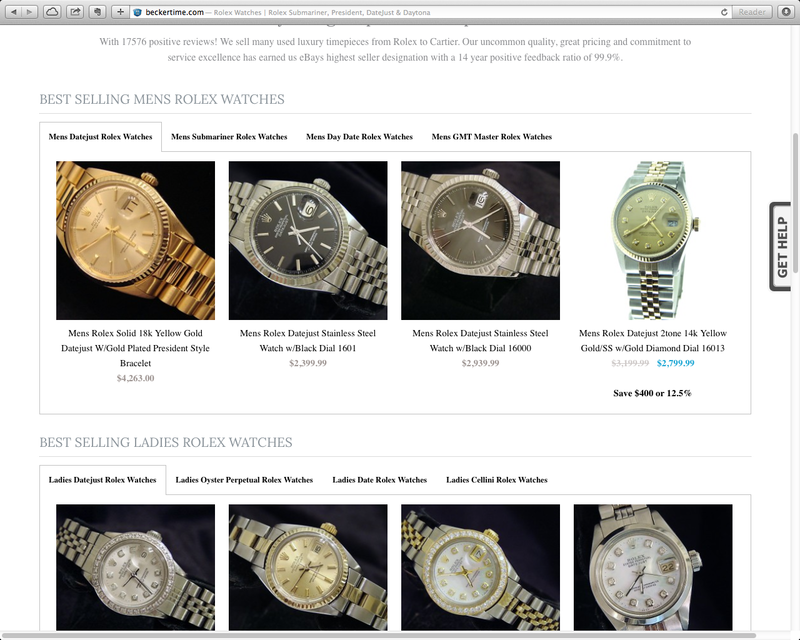 Online sellers do not have access to the Rolex database, but they can spot a genuine Rolex after years of training. The watch with its original box and papers is a start for guaranteeing authenticity. Check out the importance of Rolex box and papers. There are watchmakers who claim that they can repair Rolex, and then there are Rolex Certified Watchmakers. Don’t confuse the two, and don’t let an online dealer attempt to confuse you. A certified Rolex Watchmaker must pass a five-day, rigorous American Watchmakers-Clockmakers Institute (AWCI) CW21 test in order to have access to Rolex parts, Rolex technical guide library, and Rolex tools. Rolex certified watchmakers also have access to Rolex’s serial number log to authenticate a Rolex watch. Be sure that any Rolex you are considering has been either serviced or inspected by a Rolex Certified Watchmaker to establish its durability and authenticity. A questionable watch retailer can change Internet storefronts in an instant. Look to see if the how long the dealer has been in business and check third parties such as the Better Business Bureau. Asking about a particular dealer on an online forum, such as TimeKeeper Forum, also is a good source for credibility. For buyers in the United States, verify that the watch is shipping from the United States because there are stiff import restrictions for incoming Rolex into the United States. The only importer of Rolex watches is Rolex USA in New York City. All other Rolex watches will be turned away at US Customs. More information on Rolex and US Customs is available on a June 25, 2012 BeckerTime article. 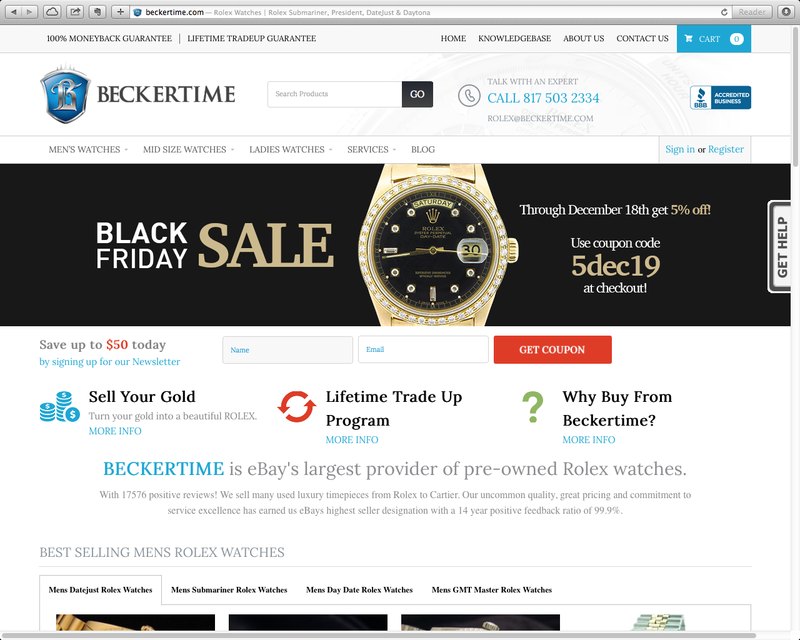 Needless to say, BeckerTime fulfills all of these tips, so before shopping for your Rolex watch online, visit us today.